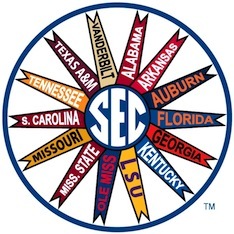 Join alums from all 14 schools to celebrate the launch of the SEC Network! Join Southeastern Conference alumni in New York City on Wednesday, July 30 from 6-10 p.m. for this month's SEC NYC Happy Hour at the Playwright Celtic Pub (732 8th Avenue between 45th and 46th streets). This month's party will celebrate the August 14 launch of the SEC Network with ESPN on-air talent and Georgia alumna Maria Taylor and SEC Network analyst and Alabama graduate Greg McElroy.